Cyber criminals designed computer programs to penetrate and harm computers without user's content. It's a “malicious software”, or popularly known as a Malware. 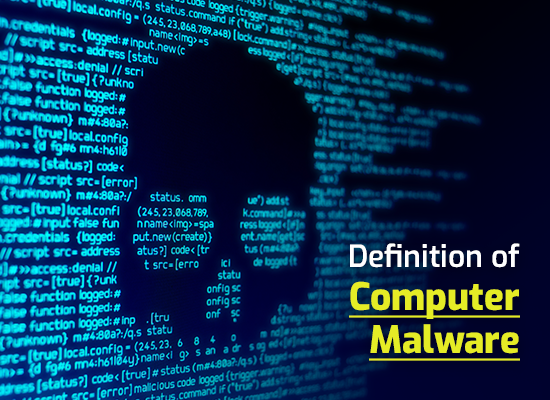 The term malware covers all the types of threats to your computer safety such as spyware, viruses, worms, trojans, rootkits, and etc. Malware performs a wide range of tasks from stealing, encrypting or deleting sensitive data, altering or hijacking core computing functions, and spying on someone' computer activity without their consent. In the early 1980s, the virus creators or virus writers started writing viruses. During the late 1990s, many of the written viruses were just meant to annoy users and to learn how far a virus can spread. These writers were young or teenage programmers who were ignorant of their mischievous acts. After learning that viruses can do more, the writers and hackers began to do professional crimes to collect money and data from small businesses to corporate giants to ordinary computer users. The Internet is everyone's tool for to get information, to socialize, and to transact with many businesses and banks. It's where a pile of opportunities for economic exploitation of both corporations and the ordinary computer user. These two malicious software are designed to disseminate without the knowledge of the users. The virus attaches itself to a legitimate software. When the software was used, by the computer owner it spreads the virus. A virus needs a human action before they can spread themselves. However, a computer worm spreads without any actions. These two work to hide attacks on computers. Users think that they downloaded their desired program but it turns out to be a Trojan horse. Trojan Horses are malignant pieces of software pretending to be authentic applications. Meanwhile, Rootkits are different. They hide the technique a malware use, but it doesn't contain any damaging software. It's invented to make the malware unnoticeable by antivirus detection and removal tools. These two malware work for identity theft purposes, phishing and social engineering. These attacks are made to rob money from computer users, businesses, and banks. For the first quarter of 2011, Trojan horse infections topped the malware list with more than 70% of all malicious files detected on computer systems, followed by the common viruses and worms. A cyber criminal can use a vast options of spreading the malware and infect gadgets, computers, and networks. Malware can be delivered using a USB drive, downloading programs, email attachments, and etc. Phishing attacks are another popular type of malware execution. Phony emails are disguised as authentic messages from reputable companies or people. It contains malicious links or attachments that allows threat actors to communicate with the infected systems, exfiltrate sensitive data and even remotely control the compromised device or server. There are distinctly different programs that share common traits with malware. For an instance, Adware can have conflicting effects on users in terms of annoying users with unwanted ads and decreasing performance of the device or system. On the other hand, an adware is not a malware as it has no intent to damage any users or destroy their systems. Though the are other kinds of adware that can act as a spyware to collect information from users such as browsing histories and personal information, without users' knowledge or consent.